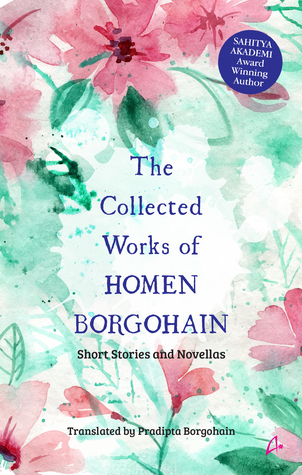 Like all timeless masterpieces, these classic novellas and short stories by the renowned Assamese writer Homen Borgohain highlight at once the uniqueness and universality of human life. Carefully and sensitively translated by Homem’s son, Pradipta Borgohain, the works included in this collection are gems from Homen’s repertoire of fine writing. Whether it be the very famous novella Matsyagandha/ The Fisherman’s Daughter (now also a motion picture) or short stories such as ‘The Curtain and the Strom’, these stories show Homen’s keen understanding of the human psyche, relationship and society in general. With ‘The Homecoming’, Homen gives us a very realistic glimpse into the mind of a married man and his stifling existence, and how he slowly learns to cherish what he had always had, giving readers an insightful look into sustaining relationships. In ‘A Servant of the People’, Ratna Goswami, an aspiring politician, in his attempts to cheat people is forced to have a taste of his own medicine. ‘Despair’ is a heart-wrenching account of the lonely existence of an old woman, and her attempts to keep going and find some meaning in the life through trivial pursuits. Rooted in realism, steeped in irony and underlined with humour and pathos, these are stories that are sure to leave an unforgettable imprint on the mind. Homen Borgohain is an illustrious Assamese novelist, writer, poet, critic, journalist, columnist and editor. An important name in Assamese literature, at eighty-five, he is a living legend, with a solid and important body of work. His novel Pita Putra received the Sahitya Akademi Award. His writings have had an indelible impact on the literature and journalism of Assam. Pradipta Borgohain is a writer, translator and academician. He got his doctorate degree in English from the University of Illinois at Urbana-Champaign. He has also worked as a journalist in the Guwahati-based English daily. The Sentinel and continues to write for local and national dailies and magazines. Along with Homen Borgohain, he has co-authored Scrolls of Strife: The Endless History of the Nagas. Pradipta’s latest book, Victorian Literature (Literary Contexts), was recently published. He won the Katha Award for best translation in 1997. Currently, he is Professor and Head, Department of English in Gauhati University. The moment I saw this book, I had fallen in love with its cover. Such soothing colours and in a way it conveyed to me the kind of stories I could expect inside. The book has a very special feel associated to it, in terms of the design and feel of the cover and also the presentation, fonts and other details on the inside. Over all, its a beautiful collector's edition that adds colour, beauty and grace to one's shelf. Moving on to reading, I took a lot of time to finish this one compared to my usual reading habits. You could blame it on the quality of the stories, each one of them invoked such deep feelings inside making me ponder for long over a lot of untouched memories before moving onto the next. If asked to describe this book is one word, it has to be called "poetry in prose". It is beautiful, lyrical and moving. The stories are perfect slices of life, with not a single one standing out like a sore thumb. They all are well woven, characters etched nicely with stories that are completely plausible. I have always enjoyed reading translated works and my common complaint amongst some of them has been when the translator tries to translate some very typical words into English and in the process looses its real meaning. Here, the translator Pradipta has done ample justice to author Homen's writing by bringing it alive in English with the same depth. The original flavours of the society have been retained in the translation as authentically as possible. And that is what raises the experience of reading this book to a new height! Overall, an immensely enjoyable read, one that leaves you drenched in myriad flavours of life even after you are done reading. Strongly recommended! This book is like Baigan Bhaja - Cripsy, Crunchy, Perfect flavours and the most amazing companion for a rainy afternoon when all you want to do is take a walk down the memory lane!